Kristen Bragg is currently a second year graduate student working towards her Master’s Degree in Communication Sciences and Disorders at Western Carolina University (Cullowhee, North Carolina, USA). As a non-traditional, returning student, Kristen left the workforce in 2011 in order to pursue her true passion of helping others to communicate effectively. 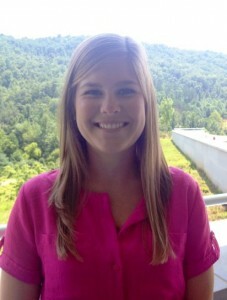 She is scheduled to graduate in the spring of 2014 and begin working to complete her Clinical Fellowship. After graduation, she hopes to work with children with a wide range of needs in a school setting. Hearing Association chapter at Western Carolina University. 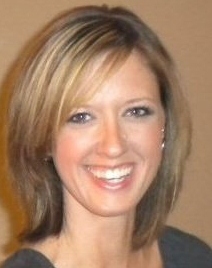 She is scheduled to graduate in the spring of 2014 and begin working to complete her Clinical Fellowship. 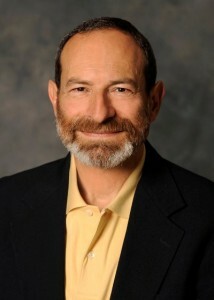 David A. Shapiro, Ph.D., CCC-SLP, ASHA Fellow, Board Recognized Fluency Specialist, is the Robert Lee Madison Distinguished Professor of Communication Sciences and Disorders at Western Carolina University (Cullowhee, North Carolina, USA). In his fourth decade of providing clinical services for people who stutter and their families, Dr. Shapiro is a regular presenter at conferences and has taught workshops, provided clinical service, and conducted research in six continents. His book, Stuttering Intervention: A Collaborative Journey to Fluency Freedom, is in its 2nd edition (2011, PRO-ED) and continues to find a wide international audience. Dr. Shapiro is actively involved in the International Fluency Association (IFA) and International Stuttering Association (ISA), received IFA’s 2006 Award of Distinction for Outstanding Clinician in Dublin, Ireland, and was elected IFA President in 2012. He is a person who stutters, has two young adult children with his wife, Kay, and lives near the Great Smoky Mountains National Park. Stuttering intervention often is distinguished into two general categories – stuttering modification and fluency shaping (Guitar, 1998; Shapiro, 2011). Stuttering modification assumes that stuttering results from struggling with disfluency or avoiding feared words or situations; intervention seeks to reduce speech-related avoidance behaviors, fears, and negative attitudes, while modifying the form of stuttering. In contrast, fluency shaping assumes that stuttering is learned; intervention is based upon principles of behavior modification and seeks to eliminate stuttering in a controlled stimulus environment. In reality, however, most stuttering intervention utilizes a combination of stuttering modification and fluency shaping. This paper addresses an activity called “Catchphrase” that was used as part of a stuttering modification approach with “Jeff,” a school-age boy who stutters. In doing so, we will review characteristics about the case and the activity that led to the expected positive outcomes for Jeff and unexpected outcomes for the clinicians. In an exemplar form of stuttering modification (Van Riper, 1973), desensitization aims to reduce speech-related anxieties so that the person who stutters can learn new ways of coping with and responding to stuttering. One way to do this is by stuttering deliberately (i.e., pseudostuttering) and then by making modifications in order to stutter more easily or with less effort. By pseudostuttering, the person’s awareness of fluency and disfluency increases, as does facility to control stuttering. But how can a clinician who has never stuttered understand the nature of stuttering and help a person who stutters become comfortable with the risk of fluency failure and the use of fluency controls? Manning (2004) posed this question directly for clinicians who do not stutter: “How can you understand stuttering? You don’t stutter!” (p. 58). This very thought is what prompted us – two clinicians who do not stutter (Bragg and Fowler) – to modify the popular game “Catchphrase” for the client to practice desensitization and for the clinicians to learn to pseudostutter. Though we prepared for a fun activity, we could not have been prepared for its impact on our client and, particularly, on us both personally and professionally. Our client, Jeff, was a 13-year old boy who, at the time, had been receiving fluency intervention services for two years. He had experienced significant progress by increasing his use of speech in social situations where he previously elected not to speak, and heightening his overall fluency in conversation by 17%. However, his use of fluency controls had reached a plateau in therapy. We were unsure of how to continue with therapy and even if it should be continued. The dilemma was that although Jeff had a significant number of observable disfluencies, he perceived himself as fluent. It was unclear whether Jeff was unaware, in denial, or apathetic. He was proud of his personal success since the start of therapy and received an immense amount of positive reinforcement from his family, friends, and clinicians. However, there was plenty of work still to be done in order to take fluency to the next level and to eventually work on stabilization, two objectives he indicated a desire to achieve. To help bring Jeff’s fluency to this next level, we knew that we needed to determine his awareness of fluency and his ability to distinguish it from disfluency. We decided the best way to do this was by creating a fun activity that included pseudostuttering. Since it is never fun to play a game by oneself, we decided that we must play by the same rules as the client and pseudostutter ourselves. The rules of Catchphrase are simple yet difficult to follow under pressure. First, the players divide into two teams. One player at a time is provided a word and must describe it to the teammates without saying the word itself. The team receives a point when the fellow teammates correctly guess the word being described. We adapted the game and made a set of cards with our own words that were tailored to the client’s age and interests. The electronic version of Catchphrase has a beeping timer. We chose not to use a timer during therapy because it would create unnecessary pressure for the speaker. Rather, we added another element to the activity for usefulness in the clinic setting. Specifically, we created a set of cards that directed each player to speak in a specific manner. These cards included: using fluency controls; speaking quietly, loudly, quickly, or slowly; stuttering with whole word repetitions, part-word repetitions, or phrase repetitions; or using prolongations, interjections, or revisions. During the game, which consisted of the client, two clinicians (Bragg and Fowler), and one clinical supervisor (Shapiro), each player was required to abide by the speech pattern specified on the card that was drawn. The prescribed speech pattern was required not only during the game, but also during related conversation that involved asking game-related questions, relaying how one felt, or making general comments to other players. For accountability purposes, each person started with the same number of tokens. All players rewarded the others with a token for speaking in the manner as directed by his or her card; all players removed a token from a player for failing to speak as directed by the card. The token system reminded all players at some point to “get back on track,” as it was easy to forget to stick to the directive on the card, especially if the card represented a novel way of speaking as it did for the clinicians. First and foremost, Catchphrase provided Jeff with a heightened understanding and a sense of control and empowerment. After we reviewed what each card meant and provided examples, Jeff was eager to play. By chance, he first drew many cards directing him to stutter. When he finally drew a card directing him to use fluency controls, his overall fluency improved tremendously compared to previous sessions and the beginning of the present session. Before the Catchphrase activity, he demonstrated one or more disfluency on 18% of the words spoken during a two minute conversational sample. During the activity, he used his controls and demonstrated disfluency on less than 5% of the words spoken in a conversational sample of the same length. We used an audio recorder to play back Jeff’s use of fluency controls to further heighten his awareness and to offer positive feedback. Though we may never fully know what it is like to be a person who stutters, this activity gave us a glimpse into that reality. It brought us to the empathic “as if,” shortening the distance between our reality and that of the people we serve (Rogers, 1961; Shapiro, 2011). If anything, our empathy is stronger and we feel more prepared to work with and learn from people who stutter. It is our recommendation that speech-language pathologists who intend to work with people who stutter engage in pseudostuttering multiple times and in multiple settings to gain insight into the reality of stuttering. Our client related more closely with us in this session than in others, perhaps because he felt that we were beginning to understand his experience. He could see that we put ourselves into his experience, that we genuinely wanted to know more. He saw the impact that stuttering had on us. As clinicians, we learned more during this activity than we ever expected. We found the experience to be enjoyable and rewarding, in addition to being memorable, humbling, and inspiring. Do clinicians who stutter make better clinicians for people who stutter? Can a clinician who does not stutter work effectively with a person who stutters? Do people who stutter understand the experience of another person who stutters better than a person who does not stutter? Do clinicians who stutter have biases or predispositions that can interfere with or reduce the objectivity of the clinical process for a person who stutters? Can anyone ever truly understand the experience of another person? What facilitates and what inhibits a person’s understanding of another person’s experience? This paper addressed one activity – Catchphrase – that remarkably enhanced two clinicians’ understanding of stuttering. What other activities might help clinicians build their own understanding of stuttering and the uniqueness of the stuttering experience to each individual? What opportunities presently exist for student clinicians in professional preparation to understand the experience of stuttering? How might the graduate experience be enhanced to achieve such an understanding in order to deliver best practice for people who stutter and their families? Guitar, B. (1998). Stuttering: An integrated approach to it nature and treatment (2nd ed.). Baltimore: Lippincott/Williams & Wilkins. Manning, W. H. (2004, Spring). How can you understand stuttering? You don’t stutter! Contemporary Issues in Communication Sciences and Disorders, 31, 58-68. Shapiro, D.A. (2011). Stuttering intervention: A collaborative journey to fluency freedom (2nd ed.). Austin, TX: PRO-ED. Van Riper, C. (1973). The treatment of stuttering. Englewood Cliffs, NJ: Prentice Hall. What an innovative idea and an inspiring experience! I’m sure it meant a lot to your client that you were able to glimpse his world and relate a little more intimately. Can you share any specific “ah-ha” moments? Did you find your temporary dysfluency carrying over into your day after the session had ended? Hi Jennifer. Thanks for your praise. As far as specific “ah-ha” moments are concerned, from the moment that we became “naturally disfluent” was the start of “ah-ha” moments that lasted the entire session. Personally, whenever I tried to tell a joke and had to stop because it took so long that it was no longer funny was a huge moment for me. This was when empathy was at its highest. It was also huge when Jeff was able to speak fluently for many minutes, which was something that we rarely heard him do. The temporary disfluency lasted about an hour after the session. While reflecting after Jeff left as a group, it happened often to both Perry and myself. Even when I got home and spoke with my husband, I still felt weird and continued to stumble on my words. Great idea! Has anyone else played this game with their clients? In our fluency class for undergrad, we had to engage in stuttering for a week and write down our reactions. It definitely gives you a different/better idea of what people who stutter go through on a normal basis. This also makes relating to them and their feelings easier when your in therapy. Hi. Thanks for sharing. I do not know of anyone else who has played this game with our specific modifications with their clients. However, hopefully some of those who have read our paper will consider giving it a try. I really enjoyed reading about your treatment session with Jeff! Although I am not a person who stutters, like most, I have had the experience of stuttering in public and have felt the negative responses. I do have a question to ask: In terms of your other clients, do you feel making mistakes similar to those of your client’s would help create mutual respect and trust? I’m not an expert, but I definitely think by us making the same disfluencies typical of Jeff’s speech created a stronger feeling of respect and trust between us. Prior to mine and Kristen’s involvement Jeff had built a solid relationship with Dr. Shapiro. I think Jeff truly identified with Dr. Shapiro and admired him in a sense. With that strong rapport already established it was easy for Kristen and I to slip into the therapy routine with him. When we participated in Catchphrase and pseudostuttered it was as if the wool had been lifted from my eyes. I was put in such a vulnerable position that I had not mentally prepared for, and I think Jeff totally identified with those feelings. From there, the door was opened to talk more in depth about internal dialogue and stories of the past that can be quite painful to discuss at times. It helped him open up to us (me and Kristen), and it help also helped us open up in therapy as well. In the end it was a great experience for all involved, and did in fact create mutual respect and trust. Thanks for your response and question! I really like the game description, what good thinking on your part. I do have a few questions. I wondered how did you two think of that game, and or why that game, and not a different one? You have already semi answered this question: I wondered if you two had tried the game again, and if so did the game yield the same results? I read in a comment that Jeff continued to decrease his disfluencies. Did it affect the three of you in the same way as it did in the first trial of the game? What were Jeff’s attitudes or feeling about coming to therapy, since he had been coming for two years? Had he previously went to speech therapy, and had a lapse in intervention services, or was the first time he was ever seen two years ago? I read in a comment that Jeff had been previously seen by Dr. Shapiro. Was he receiving intervention at a school that he was attending, prior to coming to see Dr. Shapiro? Or was Dr. Shapiro the first SLP he was seen by? Was he referred? What made Jeff come to you Dr. Shapiro? Who brought him? I really liked when in a comment you stated that you could bring in family members, or whomever to be a part of the game. I think that would be a great learning experience for the family or other people joining in. In my graduate class we watched a video of a young boy who has Tourette’s syndrome and the father, of all people, would not even eat dinner with his son. It made me think does he not understand that his son cannot control his outbursts. It broke my heart. Was his family supportive, and wanted to participate in therapy? Thanks for you feedback Alisha. We were brainstorming on different games that would be appealing to a 13 year old boy. We wanted to incorporate a game that required the participants to talk for obvious reasons. Catchphrase was just one of those games that came up and we went with it, not expecting the results it eventually yielded. We did try the game a second time, but the results were not quite as profound. There’s nothing like the first time so I think we all knew what to expect (to an extent) the second time. It didn’t calm my nerves though. Pseudostuttering is a very odd, and nerve wrecking thing to do when you’re typically a fluent speaker. Jeff enjoyed coming to therapy. He had been coming to Dr. Shapiro for a number of years prior to mine and Kristen’s work with him. (I cannot remember the amount of time he had been coming to see Dr. Shapiro so I don’t want to give a false estimate.) Jeff had previously been seen as a young child in the school system. He was seen by his elementary school’s hired SLP. He did not have a good experience in speech therapy as a young school age child. Eventually he ended up seeing Dr. Shapiro, but again I am unsure of the timing of events and do not want to report false information. Jeff was typically brought to the clinic by his mother, and another family member, usually his grandfather or grandmother. His father would bring him occasionally, but he traveled a lot for his career and was out of town more often than not. Jeff’s family was very supportive and enjoyed participating in therapy when appropriate. I hope that answered your questions! Thanks again. What a great, functional activity! It must have taken you each a very long time coming up with pictures and vocabulary that would be relevant to a 13 year old boy. I believe it is imperative for all clinicians who work with people who stutter to feel comfortable pseudostuttering, especially since we know it can have beneficial effects on both the client and clinicians. Since this activity had such a huge impact on you and your client, I am wondering, what kind of activities or treatment techniques did you decide to utilize after this successful therapy session? Did you go back to the techniques you were using before? Did you incorporate anything new from what you had learned from the Catchphrase activity? We began incorporating pseudostuttering in the activities following our success with Catchphrase, which was new for me and Kristen. We would engage in natural conversational speech often times. Also, we’d participate in specific activities such as describing a photo to the group in the therapy room while pseudostuttering in a particular manner (i.e. whole word repetitions, part-word repetitions, etc.). To promote Jeff’s fluency, we focused on gentleness, evenness, and naturalness of his speech, as we did previous to the Catchphrase activity. What a great therapy activity. I can only imagine the amount of insight and rapport it gave you with your client. I think it is important for clinicians who work with clients who stutter to practice pseudostuttering in order to get a small understanding of what their clients experience. I would like to know if you have tried this activity with younger clients? Do you think that younger clients (elementary age) would gain as much from this activity? Were the results that you saw during this activity, reduction in percentage of stuttering, maintained at the next session? Hi Teresa. Thanks for your response. Neither Perry nor myself have tried this activity with younger children. I think that I would only play this game based of the individual child’s maturity and level of awareness. I did have a very bright and mature 9 year old over the summer who had recently learned different types of disfluencies and what each type sounds like. I would quiz him on the different types. The next step was going to be pseudostuttering, but I had to leave my placement for the semester. The reduction that we saw was only maintained during the next session once Jeff was reminded to use his controls and we started playing again. This was usually the case. He would start out very disfluent in sessions, but disfluencies would decrease once he started to increase his awareness. This is such a great activity! One way that my fluency professor got her grad students to engage in the same concept was to assign a “pseudo-stuttering lab”… each student got to choose when, where, and how they stuttered, but they had to do it in front of someone they didn’t know. Activities like these are great ways to experience the emotions behind stuttering, even if just for a moment- I can’t speak to whether or not this experience makes better clinicians in terms of lessening stuttering behaviors, but it can certainly lead to increased empathy when counseling people who stutter. I wonder if showing clients vulnerability through activities like this in session (rather than doing them outside of the clinic) makes them more at ease as well… I think that this factor could have a lot of potential in encouraging client’s who stutter to push through some of the more emotionally draining aspects of therapy. I couldn’t agree more. Pseudostuttering gave me a new perspective and also provided Jeff with a new perspective. Thank you so much for reading our paper and responding. I appreciate your outlook. Very interesting idea! I’m a graduate student, as well, and I picked my thesis topic last spring; however, I’m currently enrolled in my fluency class and feel like there are so many potential thesis topics when it comes to stuttering, so I definitely think you guys had the right idea to go in this direction! But in your opinions, do you think that this intervention activity is best for therapists treating clients who stutter or for the clients themselves? I understand that you felt that it benefitted both parties; however, it seemed like the activity had more of an emotional effect on the therapists than the client (or perhaps this paper was written that way). Was your intent to measure the reaction of the game on therapists or on the client? For one of our projects for my fluency class, we have to go to a public facility and “pseudostutter”. Perhaps practicing using your intervention activity will help us prepare! In my opinion, I believe this intervention activity is best for both parties. We designed this activity with the client in mind so that he could (hopefully) experience the feeling of control over his own speech. We accomplished that goal through the help of this activity. Coincidentally, Kristen and I were rewarded with the experience of pseudostuttering in conversation with our client and supervisor, two individuals who both are persons who stutter. We unexpectedly gained a new perspective as graduate clinicians, as well as a sense of empathy that is vital in counseling clients who stutter. We wrote this paper highlighting our experience as clinicians and what we gained from the experience. Regarding the intervention activity itself (i.e. Catchphrase) our intent was not centered around the therapists. It was most definitely intended for the client. I apologize for the confusion. We were in no way attempting to relay a selfish message. I do hope this answers your question and clarifies our intent as authors/graduate clinicians. Best of luck to you and your studies. Thank you for perspective and response. I am a communication sciences and disorders student and am currently enrolled in a voice and fluency course. What a clever activity to increase Jeff’s awareness of his stuttering and give you all a chance to experience stuttering yourselves. In a response to someone’s comment, you mention that Jeff has a supportive family who attends therapy, have you attempted to play the game with them for generalization purposes? We invited family members to engage in the Catchphrase activity, but they preferred to observe the therapy session in a separate observation room. Please do not mistake their decision as being un-supportive. I believe their decision was based on preference, as well as wanting to keep the therapy room members a constant. The game was explained to the family members in the chance that they wanted to partake at home. It was never reported to me whether or not the family actually played at home. This is such a great idea for fluency therapy! As a first year graduate level clinician, I love hearing about new techniques to utilize familiar games in therapy! I do not currently have a fluency client but this will be a great technique I can utilize in the future. I enjoyed reading about all the modifications you used to adapt Catchphrase to your particular client. We had to perform a pseudostuttering activity as an assignment in our Stuttering II class and it is imperative to experience what a person who stutters endures everyday. It is important to switch sympathetic feelings toward PWS to empathic feelings and to walk a day in their shoes. Have you had positive experiences using pseudostuttering in therapy? Does it not work for some clients? Additionally, do you have any other familiar games/ideas for fluency therapy for a first year graduate student? Thank you for the great article and your time! We had a positive experience using pseudostuttering in therapy with Jeff. Unfortunately, he is the only fluency client I have had and utilized this technique with. I, therefore, am unable to speak to whether or not the concept would work for other fluency clients. I do think it’s a good activity to keep stored in your mind because you can tailor it to any age. What a great idea! I personally feel that progress in therapy cannot be made unless the client is aware of their communication. This game sounds like a great way to increase awareness while still having a good time in therapy. The success that you both have had with this client shows that a clinician who does not stutter can effectively work with a client who stutters. The willingness to understand your client’s perspective and make yourselves vulnerable to him goes a long way. Thank you so much for your thoughtful response. I couldn’t agree more with your statement above. In the long run, I believe this activity will be beneficial for both me as a graduate clinician and for Jeff as a fluency client. I know I will always look back and remember the impact this has had on my personal perspective and SLP practice. What a great experience for both of you, as well as a great intervention activity for your client. I am a second-year graduate student and I am currently taking a fluency class. One of our assignments is to “pseudostutter” in a public situation and write a paper on our experience. I haven’t completed the assignment yet but I’m sure it will be a valuable experience! You ask some challenging questions at the end of your paper. I do not think a clinician who stutters would necessarily be a better clinician for a person who stutters, although they may have greater empathy. I think the most important thing a clinician who is working with a person who stutters can do is recognize that each person who stutters is an individual and what worked for one person may not work for the next. Thank you for reading and responding to our paper. As you stated, empathy is an important quality to possess as an SLP when counseling a fluency client. I believe having that characteristic will play a large role in the level of effectiveness of your treatment approach. I agree with you when you say that “each person who stutters is an individual and what worked for one person may not work for the next”. That seems to a a vital role in all of our education and training. I appreciate you opening up a discussion regarding our paper. Best of luck to you in your graduate studies. What an awesome idea! I am currently a second year grad student at Idaho State University and doing a placement in a local elementary school. I find this fascinating and plan to suggest this to my supervisor. We have been searching for different ideas to make therapy “fun” for the students. This could work!! Hope that all works out. Best of luck to you. Thank you for sharing your experience with Jeff. I really enjoyed reading about this idea for therapy. I am currently taking a fluency course and was given a pseudostuttering assignment this semester. I was amazed at the amount of anxiety, and number of avoided situations from face to face interactions I experienced all because I didn’t want to stutter. At the conclusion of the assignment I felt I had experienced a small taste of what the life of a PWS is like. As I was reading through your paper I thought about my different encounters and often found myself relating to how you must have felt that day in therapy. Since most of my encounters were relatively short, I am eager to try this activity out in order to increase my understanding and knowledge of the physical and emotional drain that a PWS goes through everyday. I do have a couple questions about the game for future clients… At what point in the treatment process would you recommend playing this game? I would imagine it is important to educate the client on the different stuttering techniques; but would you wait until you hit his or her plateau (like Jeff), or play it towards the beginning of treatment? Based on your experience with the game, how do you think younger ages would do? Good luck to you both on the rest of the semester!! Good questions Elizabeth. I would recommend playing this game once the client has had some success in sessions, has built a relationship with the clinician and is comfortable enough to openly talk about using controls and what different types of disfluency sounds like. We had at least 8 hours with Jeff before we did played this. I probabaly wouldn’t jump right in. We did not base waiting off of his plateau, rather we based when we played off of how long it took Jeff to become well aquainted with us and make the personal decision to take his treatment to the next level. I don’t believe that I would set an age limit with this game, rather I would base it off of each child’s maturity level and how aware they are of their disfluencies. Good luck to you too. Thanks for sharing your experience! What an amazing opportunity to better understand the clients you work with. I am also a graduate student in speech-language pathology, and am currently taking a fluency class. As a key part of the course, we had an assignment which required us to pseudostutter in public at least 3 occasions. After completing the assignment, I felt many of the same emotions that the clinicians have described here. I am so glad to hear that this activity also had a positive impact on the client. I definitely plan to incorporate pseudostuttering into my future sessions as a clinician. Although I am a person who does not stutter, I think that activities like this bring me closer to understanding what those who do stutter go through every day. Thanks for your feedback. Good luck to you in the future. I really love your idea to pseudostutter while playing catchphrase! I’ve pseudostuttered with a client before, and I know how exhausting it can be. Did you pseudostutter at any other times during your session, or just during Catchprase? Also, have tried any other pseudo-speech disorders, such as pseudo-misarticulations, with other clients to try to build rapport and understanding like you did with Jeff? Good luck! Hi. We stuttered throughout the entire session including during conversations, feedback, and describing how we felt. I have not personally tried any other pseudo stuttering with clients, but all of my fluency clients have been very young and I have not felt it would be appropriate. Good luck to you in your future as an SLP! Thank you for sharing this story. I am also a second year graduate student studying speech-language pathology. I am currently enrolled in our program’s fluency course. Pseudo-stuttering is a technique that has been discussed and we will be participating in a pseudo-stuttering exercise for one of our assignments in which we must pseudo-stutter for a day. I already have some anxieties about it and it was interesting reading about the anxieties and fatigue you experienced with your activity. This seems like a great therapy activity for both the client and the clinicians. I currently work with children who stutter at my elementary school placement and would love to try this activity. Thanks for sharing Christy. Good luck to you. I like how this innovative activity provides a learning experience for both the client and clinician. I was wondering how well the child was able to generalize learned skills during the activity to other communicating opportunities? Thank you for posting this article! What an interesting and creative way to help your client decrease his stuttering, become more aware of his stuttering, and even have you become more aware of what it is like to stutter. As a Communicative Disorders graduate student, we were required to pseudostutter in 3 locations. I think a great addition to this assignment would be to play this version of Catch Phrase with peers for a few hours. I think it could have a great impact on everyone involved. Thanks for your feedback. Good luck to you in your future. Thank you for honestly sharing your experiences with this activity. I really enjoyed reading your paper! Thanks for sharing your feedback. I am sure the benefits of your assignment will be well worth the nerves. I think that every graduate student who does not stutter is terrified to pseudostutter for the first time. However, I am so glad that we did it. Good luck to you. Thank you so much for writing this paper. I had to complete a similar assignment in undergrad where I voluntarily stuttered for a week. I found it to be a very valuable learning experience that all potential speech pathologist should complete. I can imagine it was even more valuable for you because you were completing it in front of a client who stutters. I was curious about why you chose Catchphrase? Recently when I went to a National Stuttering Association meeting someone brought this game and most individuals were apprehensive about playing. I liked how you took the timer away from the game to decrease the pressure. Hello. We were trying to think of a game that required a decent amount of dialogue and also where we could incorporate Jeff’s personal interests. We based many of the cards that we created off of things or places that we knew he could describe well or that he liked. Thank you for your interesting paper. As I have not received formal therapy for SO MANY years, it was particularly useful for me to gain an understanding of the terms “stuttering modification” and “fluency shaping”. David, it was a pleasure to spend time in your company (albeit briefly) at the last ASHA annual convention in Atlanta. Hopefully our paths will cross again in the not too distant future. I am a first year graduate student at Idaho State University and one of our upcoming assignments is to pseudo-stutter. I know most of the class is terrified and this activity seems like a great way to practice and gain perspective in an interactive environment. I really appreciate you sharing this activity and I am excited to use it when I have a fluency client in the future or even with my fellow graduate students for practice. You mentioned your client perceived himself as more fluent then he was and that he was proud and confident in his speech, did bringing awareness to his dysfluent events cause a decrease in his confidence? If not, how did you present this information in a way that allowed him to maintain his positive self image? Hi Breanna. We did not specifically point out any of his disfluencies during the activity. Instead we attempted to empower him by allowing him to realize that he is in control of his fluencies verses disfluent moments. We played back only the moments where he was fluent and focused on the positive. In therapy overall, we explained to him that many people become good at things, but there is always room to take what we practice to the next level in order to master our skills. We presented it in this manner and he did not lose confidence as a result. I truly enjoyed reading this article on your successes pseudo-stuttering while playing Catchphrase. I am a graduate student and I am currently taking a class on fluency. Our professor requires us to complete pseudo-stuttering activities. Initially, upon learning about this course requirement, I was anxious and not looking forward to working on it. Now that I have read this article though, my feelings on completing this task have changed. The fear of being judged by others as you stutter is a feeling we cannot fully comprehend as someone who doesn’t stutter but through your exercise, you were able to begin to understand the demands to perform that a person who stutters must feel. Your client’s “welcome to my world” comment touched me and encouraged me to better comprehend the negative emotions attached to stuttering. I also found your use of Catchphrase in therapy to be a great way to bring awareness to your client in respect to his stutter. Thank you, ladies! Thanks so much for sharing Jillian. I am glad that our paper was able to give you the boost of confidence that you will need to complete the assignment. I promise you that you will feel much better after you do it. Good luck to you in your studies. My name is Kendre, and I am a graduate student at Idaho State University. I’ve been working in the field for the past 5 years or so, however only recently have I encountered any clients who stutter. It’s quite an intriguing subject, and something that has very little “hype” with respect to therapy techniques and intervention (as opposed to other areas in our field). Best of luck to you in the future!! !